Find answers to the most frequently asked question. 1. How can I buy shares in YPF? To acquire shares in YPF, it is necessary to have a principal account of a brokerage house which will be the intermediary to be able to operate in the market. Usually the banks provide the broker service, as they can also direct to specialized brokerage houses. If you would like to acquire ADRs it will be necessary to have an account with an operator that is permitted to operate in the United States. 2. Where are YPF shares valued? 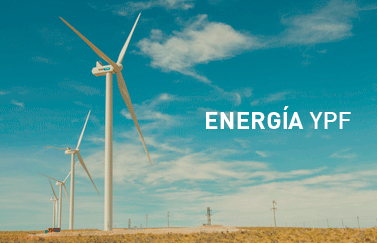 YPF shares are valued in the Bolsa de Buenos Aires (BCBA) and the New York Stock Exchange. 3. What is the symbol (ticker) of the YPF shares in the Buenos Aires and New York Stock Exchange? The YPF shares ticker that is valued in the Buenos Aires Stock Exchange is YPFD, and for those valued in the New York Stock Market it is YPF. 4. What is an ADR? ADR is the English acronym for 'American Depositary Receipt'. It is a fiscal instrument that backs up the shares deposit of a foreign company in an American bank. In this way, it is possible for a foreign company to emit shares directly to the stock exchange in that country. The shares underlying the ADR are called ADS, English acronym for 'American Depositary Shares. 5. What is the dividend policy of YPF? YPF hopes to distribute between 5 and 10% of the net result. 6. Where are the dividend payments announced? YPF communicates the dividend payments to its shareholders through the Buenos Aires Stock Exchange (BCBA), the National Securities Commission (CNV) and to the Securities and Exchange Commission (SEC) in the United States. Additionally, they will be able to find these relevant facts in our investors center, on the company's website. 7. Are there different types of YPF shares? In agreement with the status of YPF, the social capital is divided into 4 types of ordinary shares: Class A, only controlled by the national State, Class B, directed to consolidated bondholders of oil and gas royalties, Class C, in the hands of the ex-employees of YPF under the Employee Stock Ownership Program (PPP) and Class D.
8. Where can a potential investor obtain information about YPF? In the investor's center within the company website, they will be able to access all the financial information available, including trimester results, the annual 20F report, relevant facts and all the useful information for investors and shareholders. 9. How can I obtain YPF's annual​ and trimestral reports? From out investor's center in the financial information section, you can find the company's annual report as well as all the referential information of the trimester results. 10. How can a particular investor access the presentation of results? The day that the results are announced, YPF will provide a link in the investor's center so that all investors can access the company information as soon as possible. 11. How can I be notified with there is new available information about YPF? 12. How can I obtain a printed copy of the annual 20F Form? You can request it by telephone or email with the contact details found in the "Contact" section.